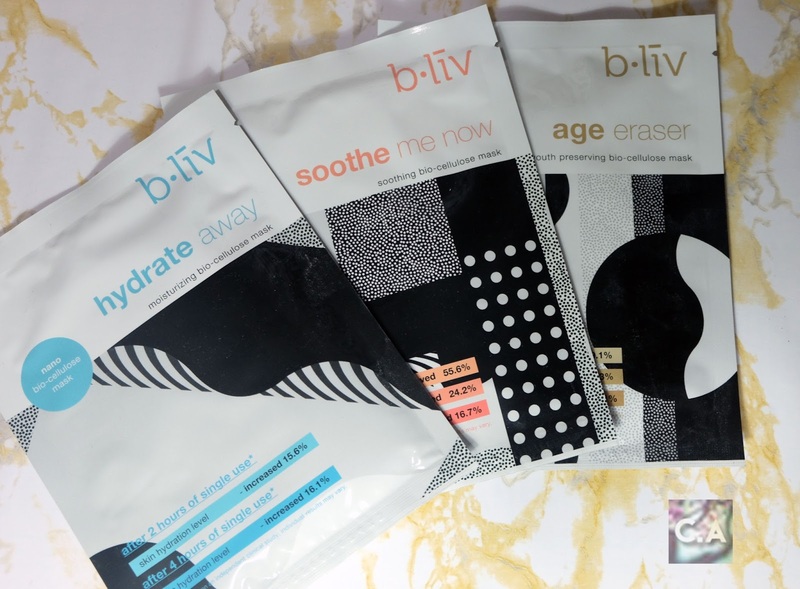 As a person who have a very large pores, of course I want to shrink it and get that flawless skin and you have come to the right post where b.liv is the leading brand in pores management solution. 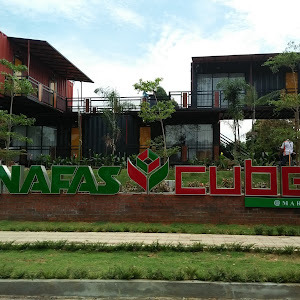 I have heard so many good things about this brand, and I was fortunate enough to get my hand on few products. 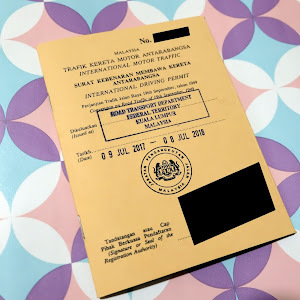 Shall we start with b.liv journey? Let's go! 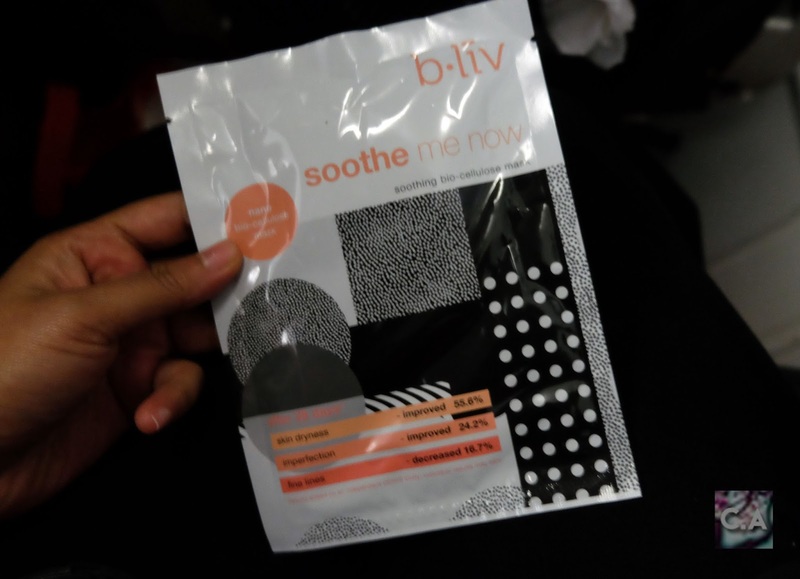 As mentioned on previous post (Review: Natural Elixirs Hijab Shampoo), I went to vacation for 9 days so I decided to bring along all b.liv sheet mask and get my first thought on it. 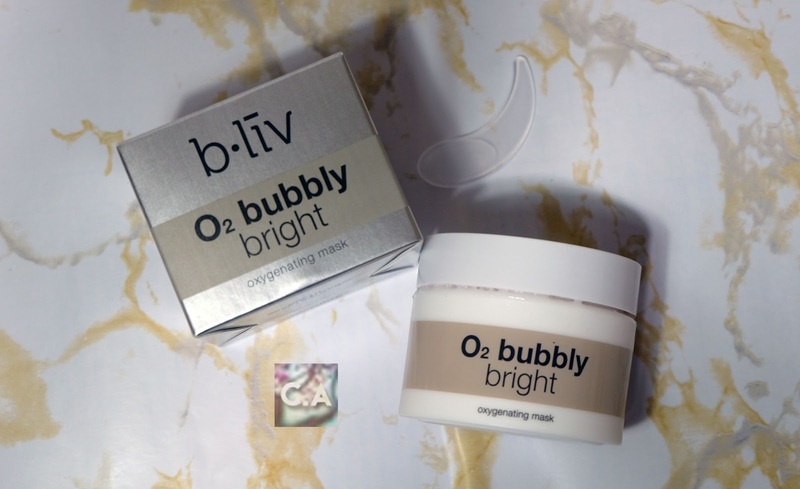 The only product I get to try at home is the O2 Bubbly Bright Oxygenating Mask. In order to get more info about this product, I visited their website and read through all the goodies. 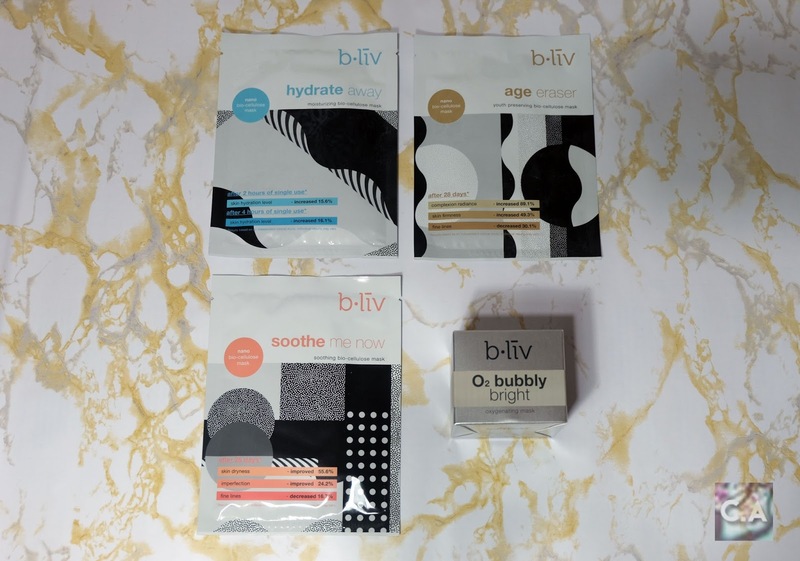 b.liv is a favourite in Hong Kong, Malaysia, Singapore, China and many more and they received multiple of awards from this mentioned country. To know more about this brand story, make sure to click 'about b.liv'. Let do ice breaking with this product shall we? This oxygenating mask contains only 3 ingredients: O2 bubble, rice powder and red soft beads. 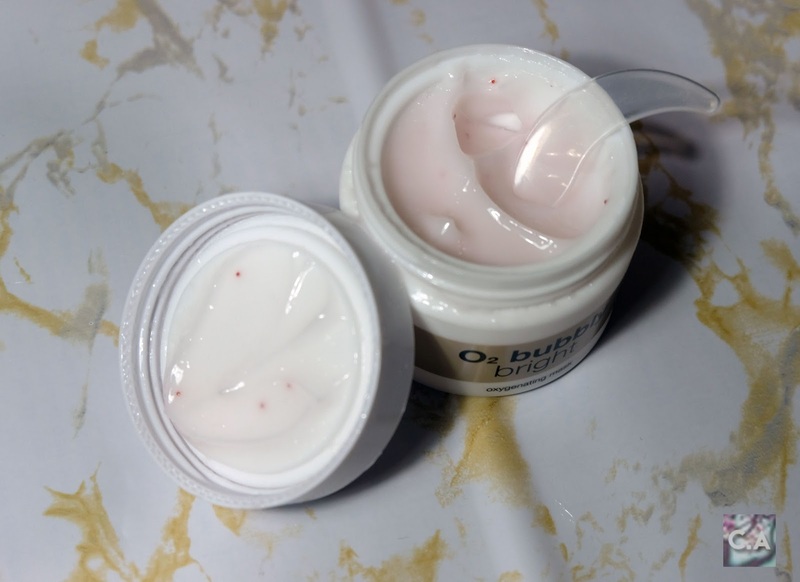 Simple as that, the function is straight to the point, where o2 bubble is for purifying, brightening with rice powder and exfoliating with red soft beads. They also provide infographic on this product, make sure to read that! I have explained the ingredients which come with all the claims. So, I should have soft, smoother and glowing skin after using it. Getting in depth with the mask. First of all, I'm excited because I have been wanting to try a bubbly form of mask (all thanks to watching tons of YouTube video) and this is a dream comes true. The best part is it come with a spatula where I can just scoop out an appropriate amount because the mask is really oxygenating. I highly recommend this mask if you want to try out something new plus it does work! Dream come true: bubbly form mask! After apply it on my face, I would leave on 5 - 10 minutes and that's when the bubbly form will disappear. Your face will be left with sticky and gel texture which a good things because before you rinse it, I massage it couple of times to get the benefits penetrate into my skin. Then, I rinse it with lukewarm water. I think its better this way because it will get rid of the sticky and gel texture. Result: My skin feel super smooth and also brightened my skin. I will put before and after photo below. You can see a brighter complexion after using it for first time only! Due to the O2 bubble formulation, it is natural to expect some "cheese holes" appear in the product. It is important to use the included spatula to avoid any foreign substances added to the product which may affect its quality. Don't use your fingers to scoop the mask out of the jar as that could cause it to bubble up. When you saw the title you must have a question pop right out of your mind and that must be 'What is Bio-Cellulose Mask?'. There are four points to this answer: Obtained by natural fermentation of coconut jelly, high adherence to skin, provide a pleasant cooling effect and ultra fine mask fibre equally to 1000x thinner than human hair. 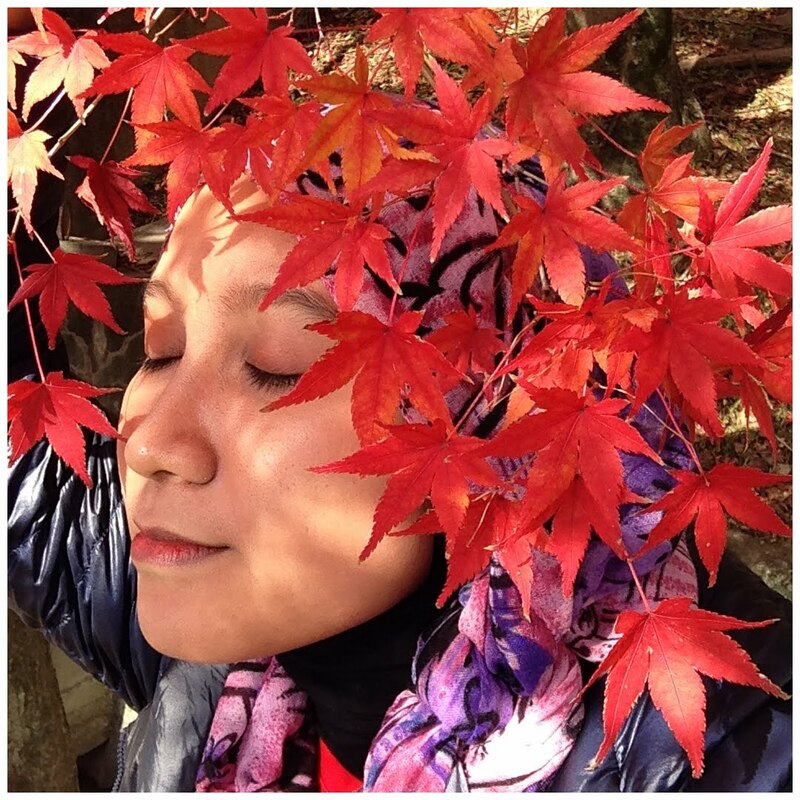 It supposed to be more effective than traditional mask because it allows the active ingredients deep into skin layers. To see the comparison, click www.bliv.com! 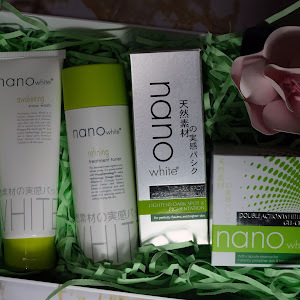 On this range, there are 3 types of mask that have different properties such as: Age Eraser (youth preserving bio-cellulose mask), Soothe Me Now (soothing bio-cellulose mask) and Hydrate Away (moisturising bio-cellulose mask). 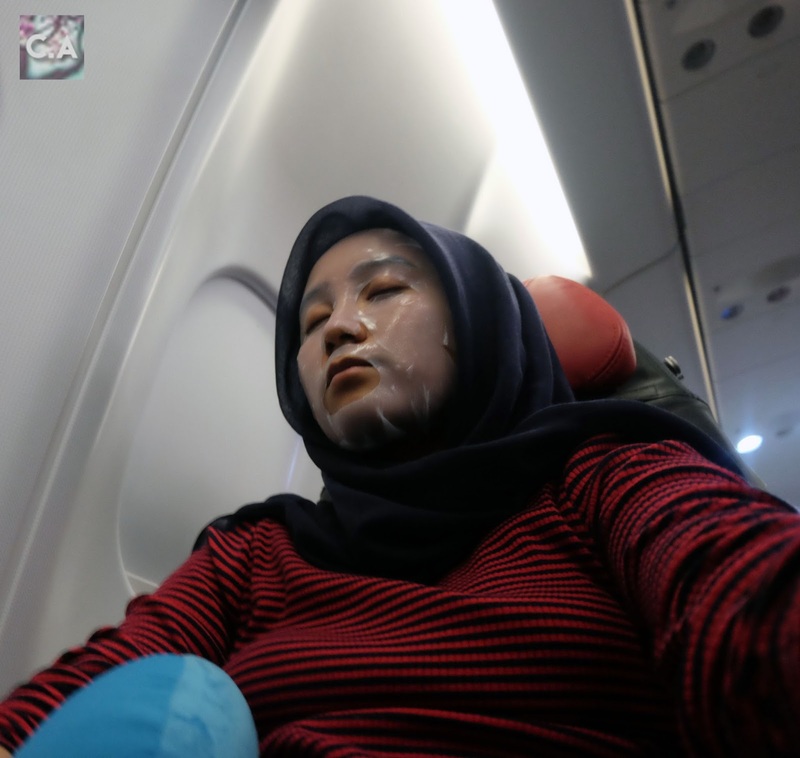 During trying out this mask, I was more than 1,000 feet in the sky for around 6 hours which makes my face really swollen after waking up. I was not comfortable, my back hurting and all I need some spa time so thank god I bring this to the check-in. My first impression for all this three mask it was really heavy than traditional mask. So, I assumed that it have tons of products inside the mask. The mask got that gel texture which makes me very careful so I won't poke it out and make a hole on it (I need all the juices). Hydrating and very pleasing to trying on! Before & After trying out Soothe Me Now mask. All I can say is this mask save the day after 4 hours flight delay and 6 hours in flight, it was a great experience. By the way, I never do this on a plane so I was getting shy at first but it turns out nobody care what you are doing unless you don't bother them. 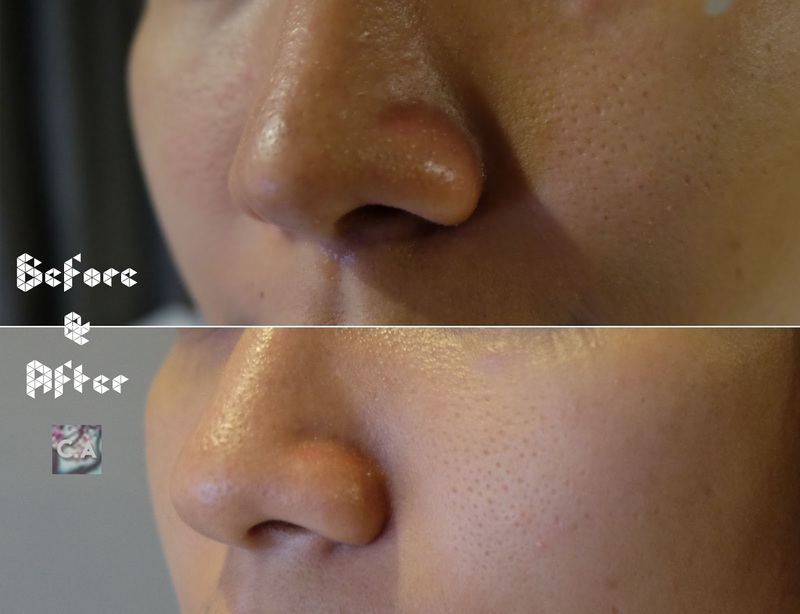 Result: You can see differences before and after using the mask on the picture above. From swollen face to normal face shape, I feel hydrating and it last for really long time. I would love to buy this product because it calms me down in the midst of tense. Skip one day to try this Hydrate Away mask at Korea. Then, I decided to try Hydrate Away mask because my face is getting really dry due to weather factor (changing from summer to fall season). So, I get to feel a hot weather in Korea. After taking a bath and feeling super clean, I get on my hotel robe, put on the mask and let the skin sip the essence for around 15 - 20 minutes. The gel texture form of the mask, it reminds me of slime. 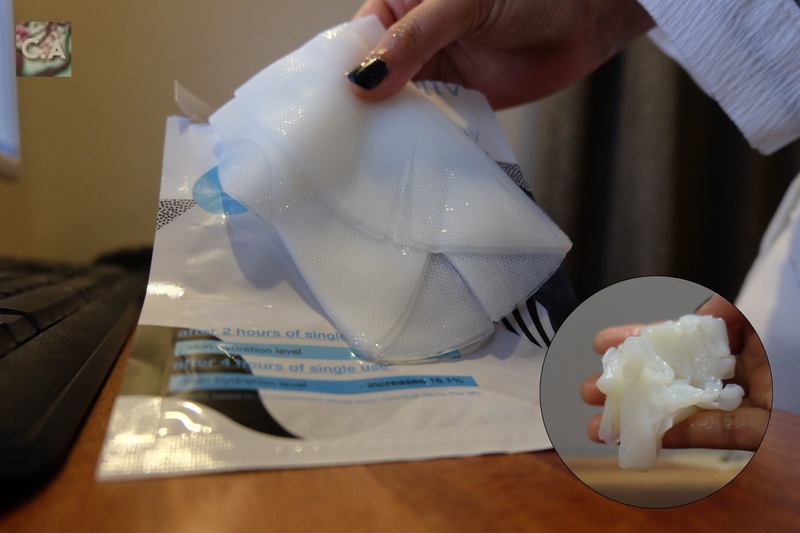 Result: If you need to hydrate your skin, this mask would be a solution for you! It contains organic spirulina, a deep sea blue-green algae, it's a power-packed with minerals and amino acids. On picture below you can see major differences between both pictures. I showed my nose area as I dry out easily on that area. Satisfaction? ABSOLUTELY! 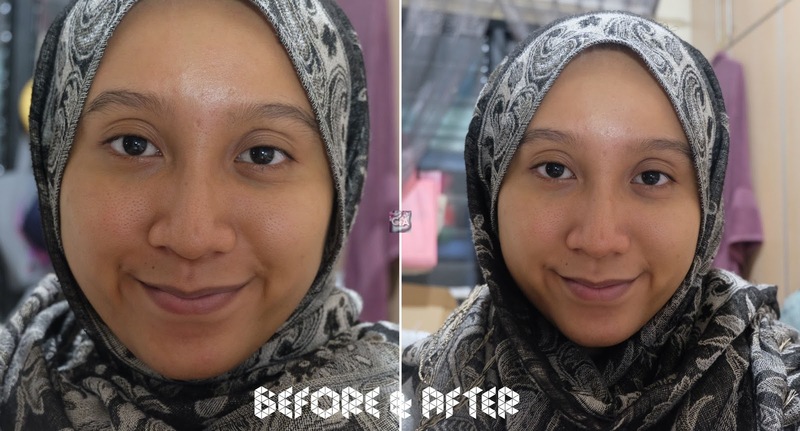 Non edited photo before and after using the mask. 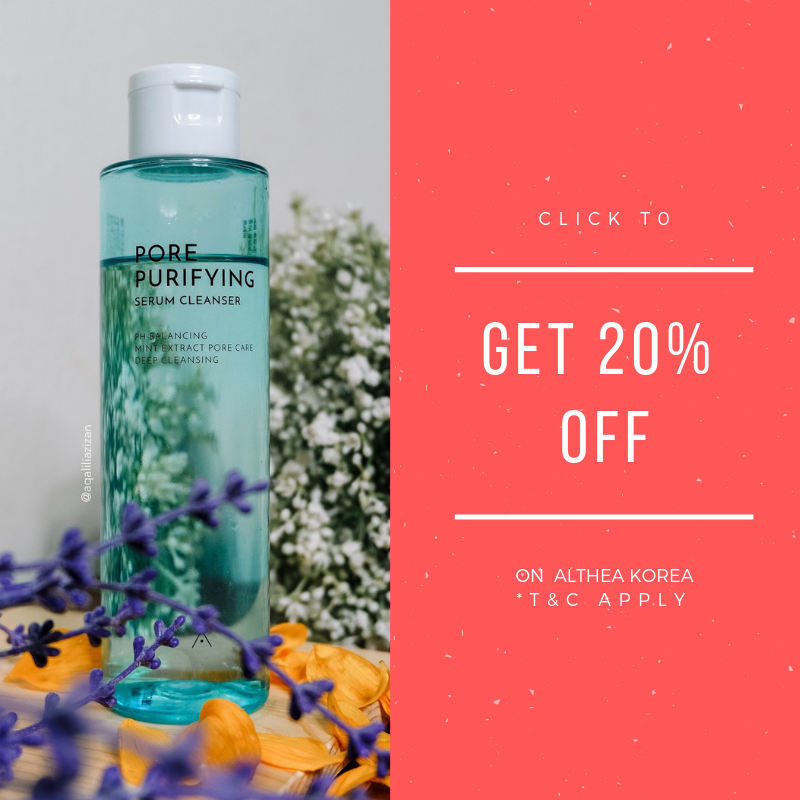 Among all the four products, all of them tackled my heart because it effectively does what it claims like hydrating, soothing, and oxygenating. I will absolutely recommend this product for you to try as results may vary for individuals. 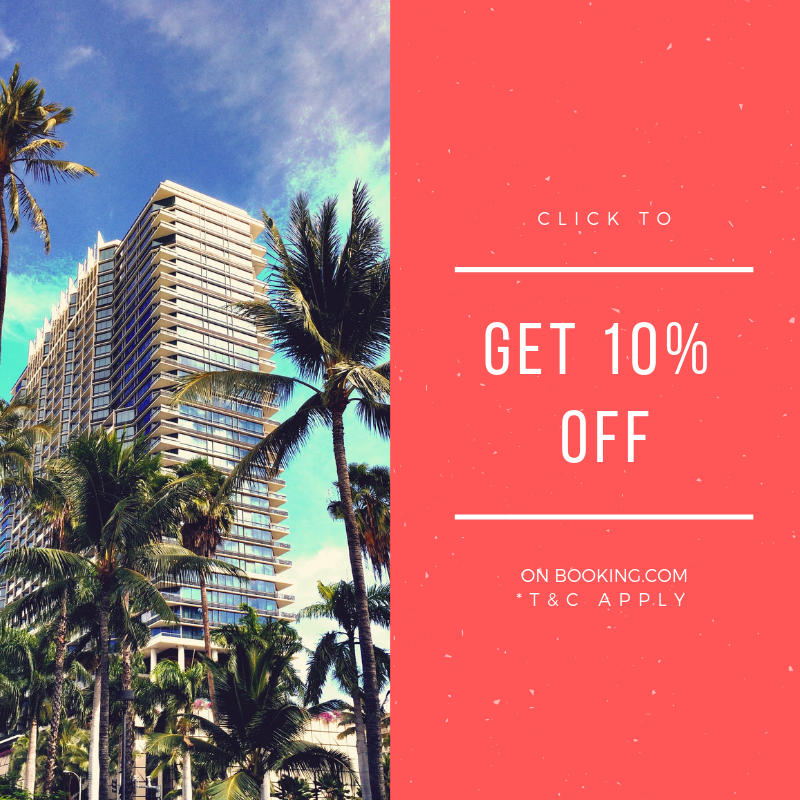 Make sure to use my RM20 discount coupon upon checkout. Just type 'AZIZAN25' on 'use discount coupon' box at https://www.bliv.com/my/. 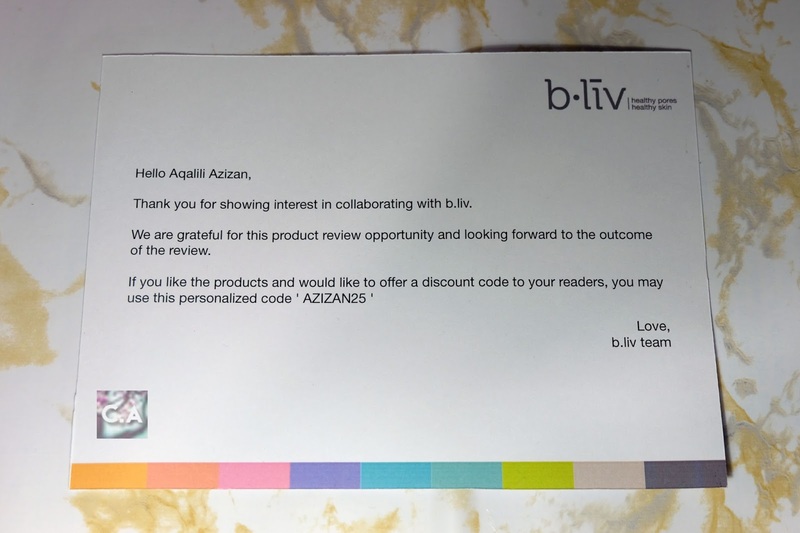 Make sure to use AZIZAN25 at b.liv to get a discount!